Designed for use with WindowsÂ® 7, Windows 8, Windows 10 and later, Androidâ„¢ 5.0 or later, and Chrome OSâ„¢. - Virtually eliminates the hassle of replacing batteries. - Use the on/off switch to extend battery life even further. - Battery life was independently tested for two-hour use per day. Actual battery life will vary with use, settings and environmental conditions. 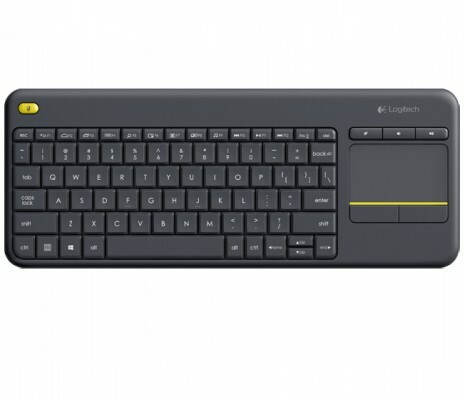 Use K400 Plus right from the box, or personalize key and touchpad settings with Logitech Optionsâ„¢ software.